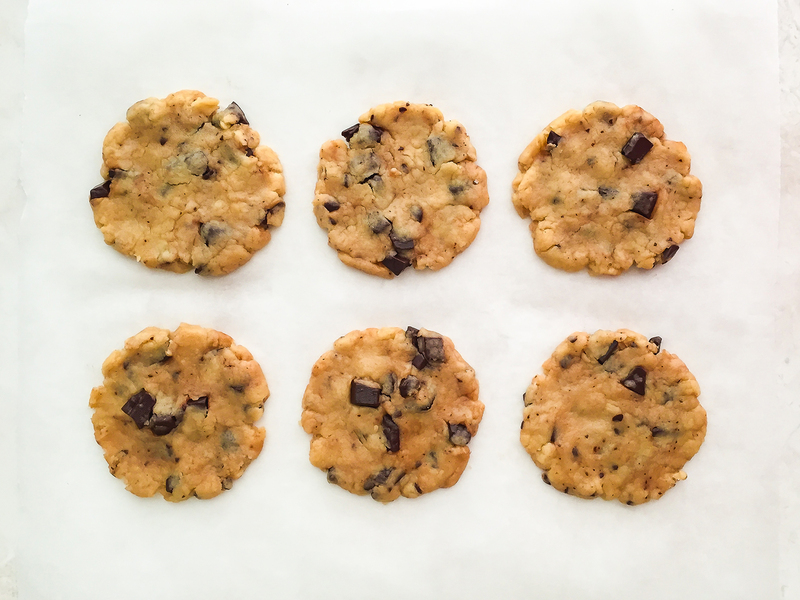 These deliciously crisp chocolate chips cookies are a quick and easy treat to prepare for your next breakfast or snack. They are a lighter version of the classic chocolate chunk cookies as they have less than 150 Kcal per biscuit and are made without butter . 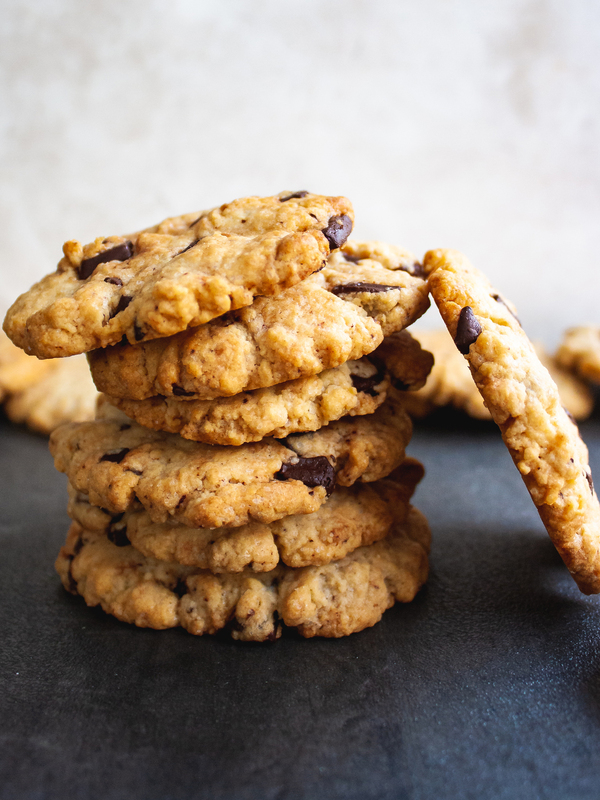 These chocolate biscuits belong to the American culinary tradition and come in so many variants, like those with nuts or oatmeal. 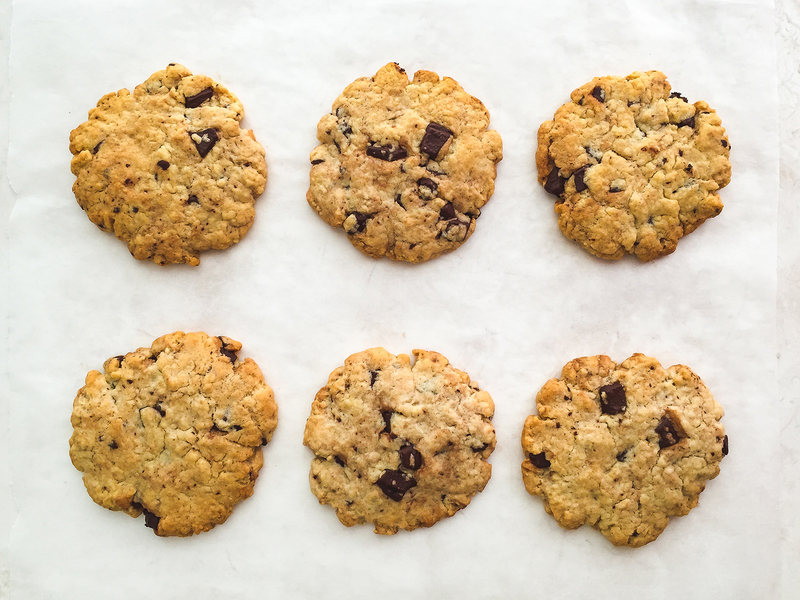 For once, we&apos;d like to linger over a classic choc chip recipe. Our only mission is to make them a bit healthier than the original version. In fact, they are dairy-free and lower in sugar and fats. If you want to discover how to prepare simple chocolate cookies follow our easy step-by-step recipe below. Have fun ! 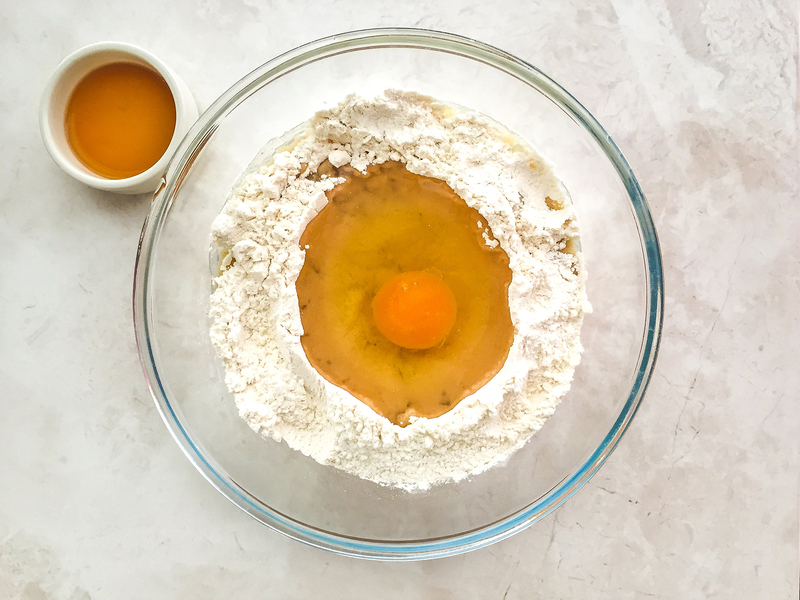 In a large bowl, sift the self-raising flour, add sugar and salt and mix well (1). Pour the sunflower oil and add the egg and vanilla extract (2). 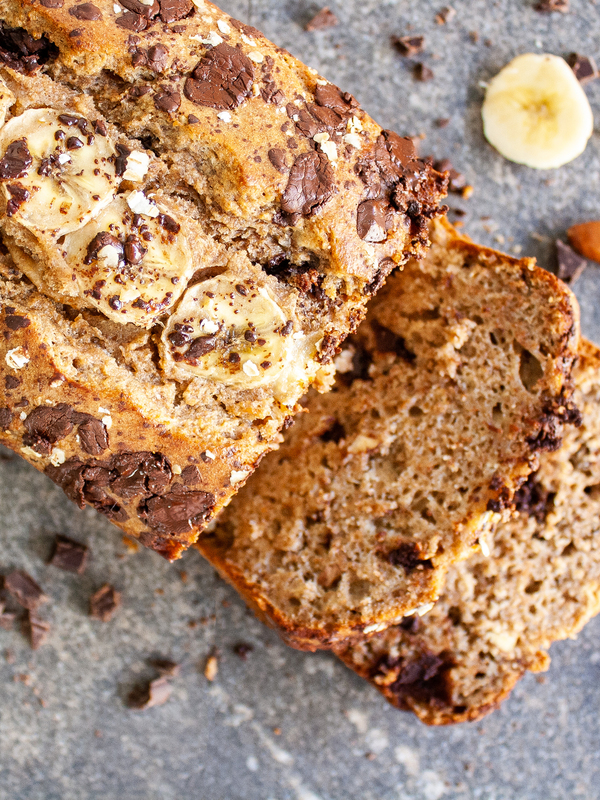 Work ingredients together with the help of a spoon or with your hands. Knead the dough until the liquids are incorporated into the dry ingredients and dough is crumbly. 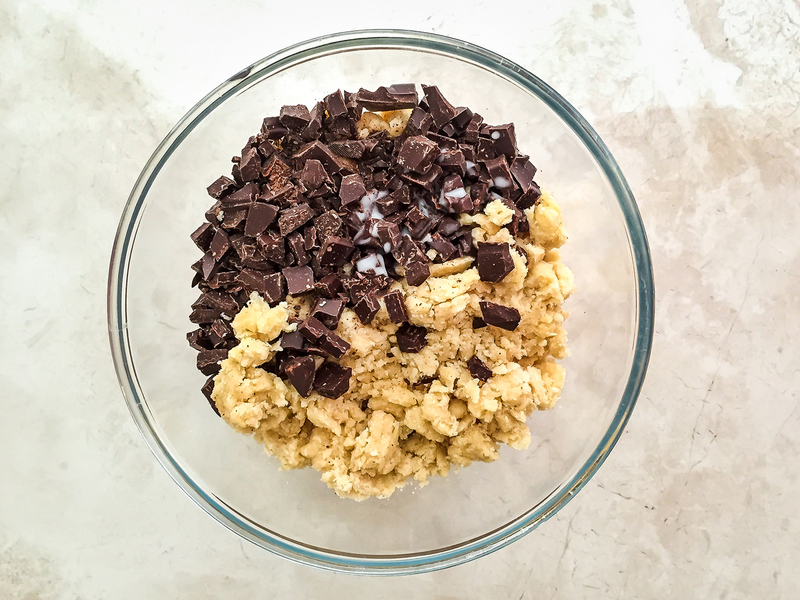 Chop the dark chocolate bar into small chunks and add them to the dough along with the almond milk (1). Knead just until the chocolate chips are well incorporated. The dough is ready if a pinch of the mixture stays in one incorporated ball when pushed together. Otherwise, add a splash of cold water or milk. Knead the dough until it comes together into a ball, cover with cling film and place in the fridge to rest for 15 minutes (2). 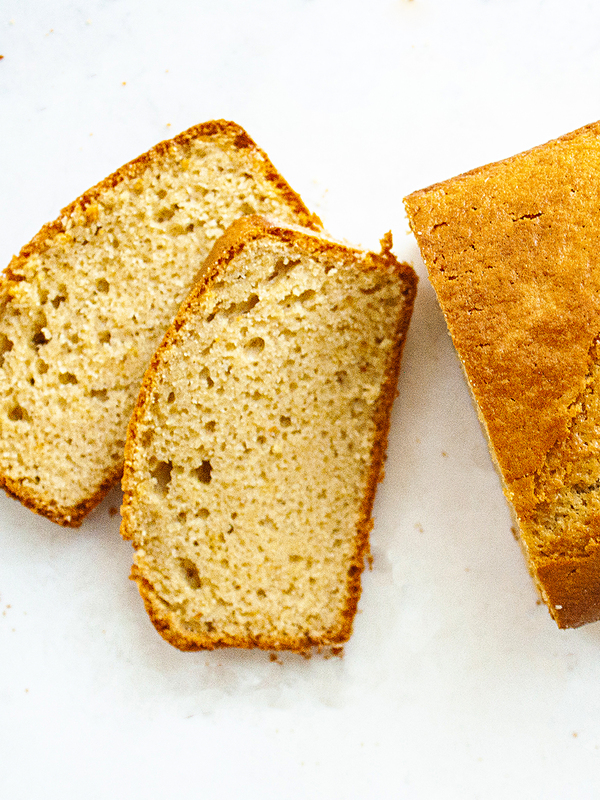 This way you reduce the risk of spreading while baking and you allow the gluten to relax. Preheat the oven to 175° C (350° F) and line a baking tray with parchment paper. Pinch off a bit of dough with your fingers, roll it into a ball between your palms and flatten down on the baking paper. 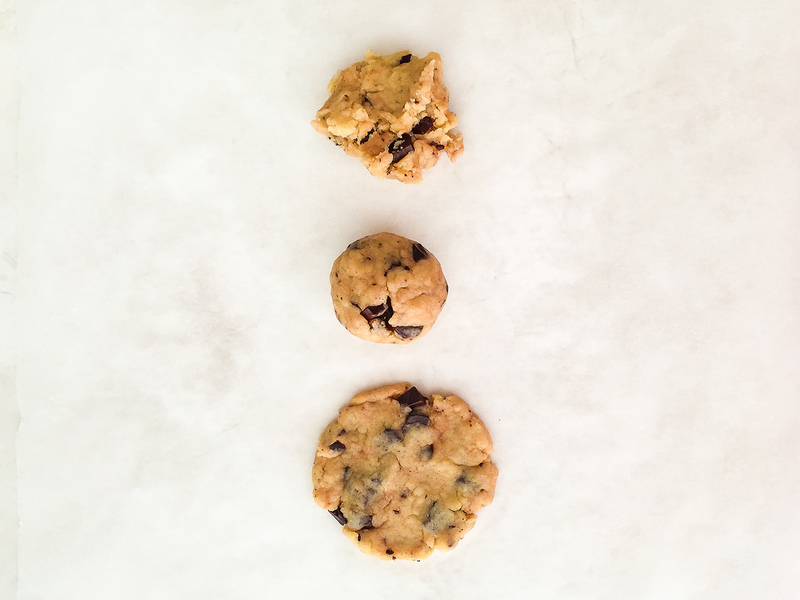 Press with your fingertips to spread the cookie and give it a nice round shape (1). Repeat this step until you have used all the dough (2). Consider splitting the dough in half and placing it in the fridge while you prepare the biscuits with the other half. Place the tray with the cookies in the middle shelf of the oven and cook for 12 minutes or until lightly golden. 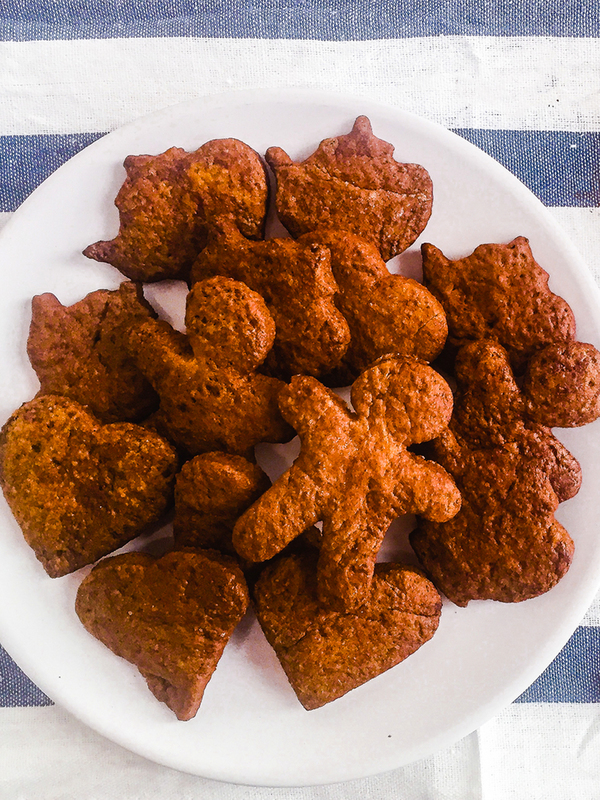 Avoid over baking the biscuits as they will continue cooking for a short while after they are removed from the oven. Transfer the cookies to a wire rack and allow cooling down. 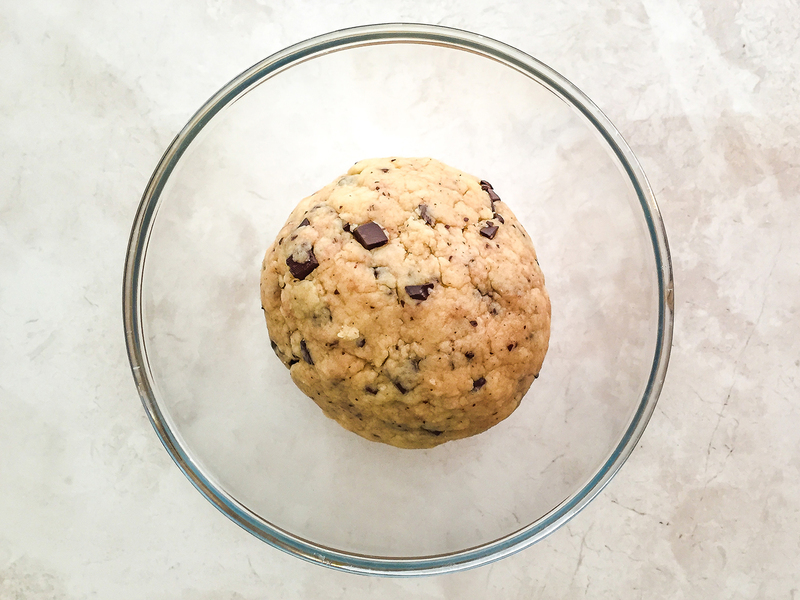 Enjoy the best dairy free chocolate chip cookies you have ever made with a glass of fresh milk or a mug of hot chocolate! 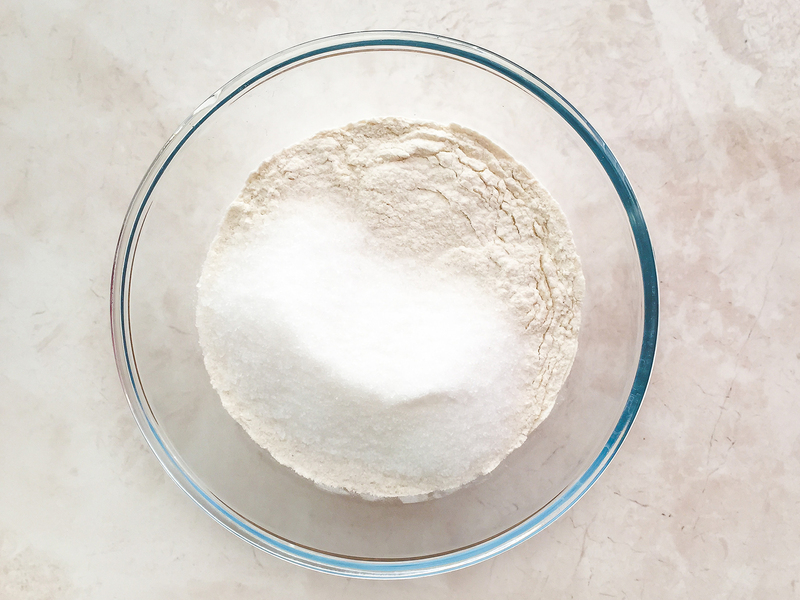 If you don’t have self-raising flour, you can easily prepare it yourself. Just combine a mug of plain flour with 2 teaspoons of the baking powder. Mix well to ensure that the ingredients are evenly distributed. Store the cookies in an airtight container for up to five days. You can freeze the cookie dough wrapped in cling film for up to one month.